قم بتنزيل تطبيق paysafecard الآن مجانا واستمتع بكافة ميزات paysafecard على الجوال. Super Smash Bros. Ultimate: the ultimate Nintendo battle! Ready to Smash? Nintendo’s own fighting game series, Super Smash Bros. is available from December on the Nintendo Switch as well. The newest title is called Super Smash Bros. Ultimate, but does it also provide the ultimate gaming fun? For the few people who may not know the Smash series: Super Smash Bros. was the first game of the series, published in 1990 for the console Nintendo 64. For the first time, one could pit Mario against Pikachu and find out who is really the strongest Nintendo character of all. There was cool advertising too. How is Smash Bros. played? Anyone who knows fighting games like Street Fighter or Tekken will notice at once that Smash works differently. The objective here is not to reduce the health bar of the opponent to zero. Instead, every hit increases a percentage marker which determines how far and how high a character is pushed out when hit. A fighting game can only be as good as its choice of fighters. In this respect, one need have no worries for Smash Ultimate for Switch. Over 70 fighters are in the game (and there will be further characters in a paid-for DLC). The fighters include Mario, Luigi, Donkey Kong, Link, Zelda, Samus Aran from Metroid, Pikachu, Wario, Sonic, the Inklinge from Splatoon, Wii Fit Trainer and many more. Even characters who do not come directly from Nintendo are in there fighting too. Including Snake from Metal Gear Solid, Cloud from Final Fantasy and Ryu and Ken from Street Fighter. The developers wanted to fulfil a promise with Smash Ultimate: all the characters from almost 30 years of Smash are included. There are newcomers too. These include Simon and Richter from Castlevania and the tiny Melinda from Animal Crossing. What is ultimate is not just the choice of fighters but the number of stages. 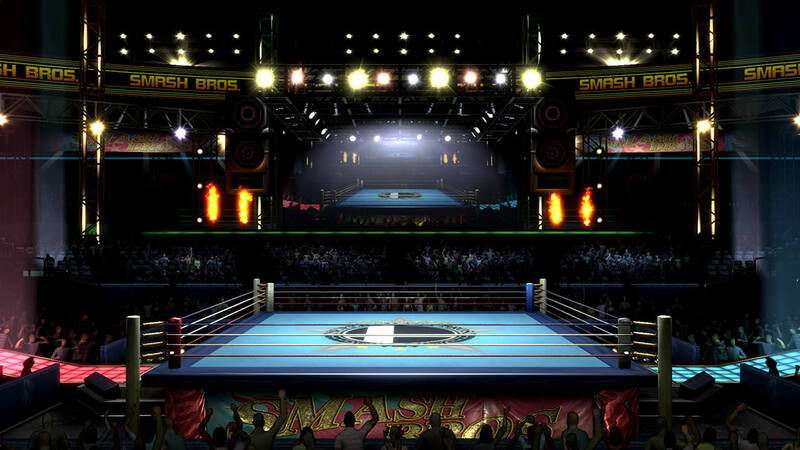 You can fight in Smash Ultimate in more than 100 arenas. Here again, the developers have included any number of fan favourites and created entirely new stages. Anyone who enjoys watching Smash Melee on Twitch will certainly recognise the Fountain of Dreams. And with a grafic update, it is looking better than ever. There are also other classic stages such as the Hyrule Castle stage N64. www.smashbros.com/data/bs/de_DE/ja_JP/img/76_1.jpg But of course there is no shortage of new stages as well. 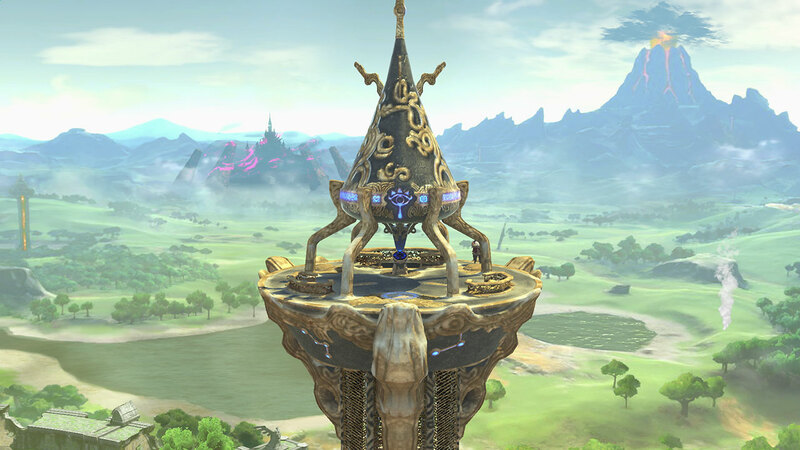 With Smash Ultimate, one can also fight outside the New Donk City town hall from Super Mario Odyssey, on the Great Plateau Tower from The Legend of Zelda: Breath of the Wild and on the famous Moray Towers from Splatoon. youtu.be/ix6OaWOaICA Another novelty is the option that stages can change in mid-fight. In addition to the characters and stages, Smash Ultimate introduces something completely new: spirits. Spirits are also characters from video games which strengthen a fighter and lend it special abilities. With over 1000 spirits, hundreds of pieces of music and over 100 challenges, there is a lot to collect. Anyone who wants to compare themselves with other fighters on the internet can do it in online mode. You can collect Smash markers here from opponents whom you have defeated. Every players acquires a rating in this way, in order to fight opponents of similar strength. جميع الحقوق محفوظة. Copyright © paysafecard.com Wertkarten GmbH. شركة paysafecard.com Schweiz GmbH مؤسسة مالية خاضعة بصفة مباشرة لهيئة الرقابة على سوق المال FINMA السويسرية. paysafecard ماركة مسجلة لشركة paysafecard.com Wertkarten GmbH. سجلوا الآن مجانا للاشتراك بنشترنا الدورية المجانية. فبهذا تكونون باستمرار على علم بكافة المسابقات والعروض الخاصة الحالية.